Adolfo Cuevas Teja was born in Mexico City (1964). He has a bachelor degree in Law from Universidad Nacional Autónoma de México (UNAM), where he also obtained an specialty in Constitutional and Administrative Law and obtained a Master in Law. He holds a Master in Public Administration from the John F. Kennedy School of Government of Harvard University. He joined the public service in 1985. He worked in the office of the UNAM General Attorney. He was Director Jurídico of the Universidad Autónoma Metropolitana (UAM) between 1998 and 2002. 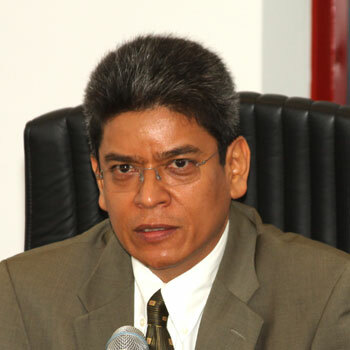 In the telecommunications sector, he worked at the Instituto Mexicano de la Radio as Subdirector Jurídico. He was the Director Jurídico in the Dirección General de Radio, Televisión y Cinematografía de la Secretaría de Gobernación. He was Advisor on this matters in the Senate of the Republic. He joined in 2006 to the Federal Communications Commission where he held the positions of Director de Área and Director General de Proyectos de Resoluciones y Acuerdos “D”. On September 10, 2013 he was ratified by the Senate as Commissioner of the Federal Telecommunications Institute, commission that will expire in 2022. Megacable Telecomunicaciones de México, S.A. de C.V.